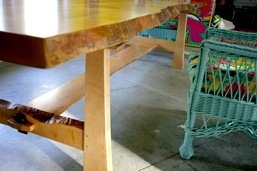 This is my most recent design of a trestle dining table. The form is ancient (there are drawings and carvings suggesting that the Mesopotamian’s had these types of tables) and I have always enjoyed replicating this form with different materials. 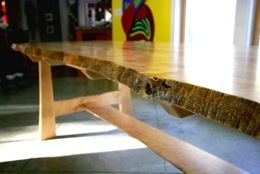 This one is built of curly and bird’s-eye maple - solid wood from trees grown and harvested in Maine, no veneers. 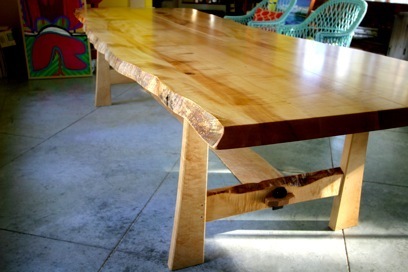 The wood speaks volumes about permanence, integrity and worth. 10 feet long, 44 inches wide and 29 1/2 inches high - just the right size for a party of ten to twelve.